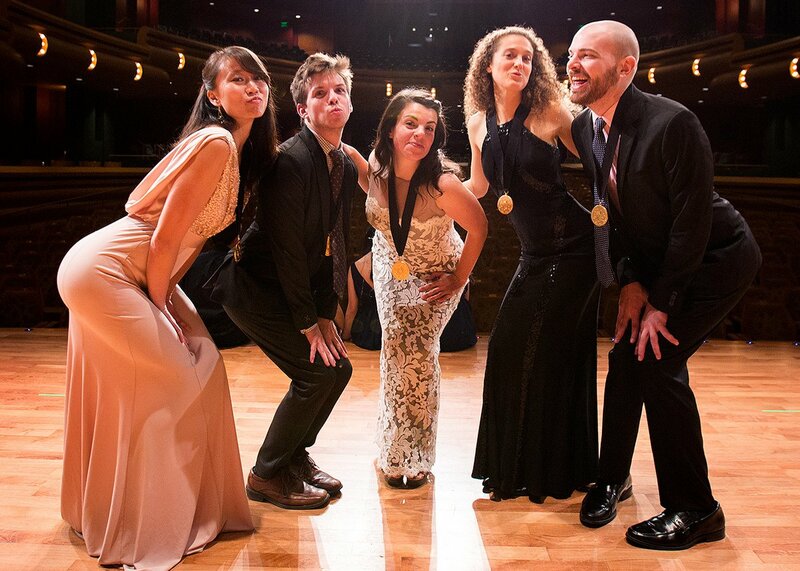 Former Da Camera Young Artist Ensemble WindSync recently won the gold medal at the prestigious Fischoff Chamber Music Competition. WindSync captured the Gold Medal ($3,500.00) in the Senior Wind Division. In addition to prize money, the ensemble will participate in a Winner’s Tour of the Midwestern United States this fall. Members include Garrett Hudson (flute), Emily Tsai (oboe & English horn), Jack Marquardt (clarinet), Tracy Jacobson (bassoon), and Anni Hochhalter (French horn).